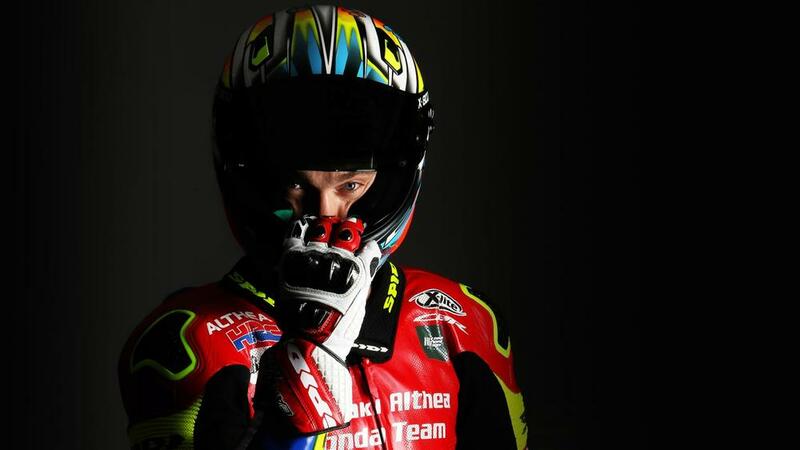 Take a peek inside the mind of Honda WorldSBK pilot Leon Camier. Leon Camier (Moriwaki Althea HONDA Racing) has been a staple on the WorldSBK for nearly a decade. The popular Brit, from Ashford in Kent, has been one of the hardest working riders with at times, the cruelest of bad luck – just this weekend, he was forced to miss the final race of the Thai Round after an unfortunate incident in the Superpole Race, suffering a knee injury which he is currently recovering from. Who am I? Who is anyone? My name is Leon Camier. I race in WorldSBK for the Moriwaki Althea HONDA Team. Obviously, life for me has just changed. Having a baby in the family, for me, I think it is a really good thing. It is very easy to think that ‘I should be doing this, should be doing that,’ and I think I have almost been a bit too serious about my training and many things. I am quite easily stressed in these times, so I think, with the baby, it is a good way for me to disconnect which I know is very, very important to me. However, I still have time to do what I need to do and what I need to do for racing. I love Andorra! It is my home now! I have a house, I have family there, I know the language well enough to get by and have great things to do! I have a good group of friends and there are great training places around; everything I like to do in the mountains is right there. Our son is going to grow up knowing many languages. It is a good mix, with Sara being from Valencia and myself from the UK. It is quite a different way of carrying on, but it works well; we have a really close little family now. It is great. I will encourage anything that my son wants to do. I did so many sports and I want him to do the same. I will be nervous, like I was when I watched my brother race. He was fast, just not very experienced. I will always support whatever he wants to do. Chaz is a rival, but we are good friends. I’ve known Chaz since I was about 10 years old I think, so over 20 years. He is very serious about what he does; Chaz has a very good view of the whole situation, it is very easy when you are a rider to be stressing over little details, but Chaz is very relaxed on certain things. Alvaro has really impressed me… I actually had a really close race with Alvaro in 2014 at Brno, for approximately the first eight laps, I was right behind him. That was the only time I’ve had much to do with him; I don’t know him as a person, I don’t think I’ve ever spoken to him, but big respect to him for what he is doing here. Coming to the World Superbike championship, I feel like it hasn’t gone how I want it to go. I feel that it is very difficult to be on right package to be competitive, and I whilst I feel like I’ve made a lot of progress with bikes and teams that I have been with, I also feel that I haven’t quite had the opportunity to show what I can do yet. That is hard to accept, but you have to be realistic. If you set yourself expectations of first position and the bike is not capable, you kill yourself mentally. No matter what, you’ve got to keep working. I take a lot of confidence from knowing that in training. Whatever I do, I give 100% and I am strong. I know that whatever it is I do to train, I am good at it because I am against top level athletes too. I have to believe that one day, when I have the right package, I can be competitive. I’ve always been able to adapt my style and to change my way of doing things to be fast. Whatever sport I’m doing, I’m always pushing and adapting and changing, finding ways to go fast. It would mean everything to win. Winning a race or a championship is still what I’ve not managed to do yet in WorldSBK, so it is the dream! I try not to have last year’s MotorLand Aragon crash on my mind, but the memory is always there. At the same time, you try to learn from it. I know the reason why I crashed there last year, and it wasn’t necessarily my fault, but I understand what I can change so it won’t happen again. I think there are some aspects where me and Ryuichi Kiyonari can work together to improve on track. However, you want to help him but not too much, because you want to beat him! Something I am bad at? Bowling. It is the one thing I am absolutely terrible at. And surfing, but I love surfing! To be good at surfing you have to spend everyday in the water, and living in Andorra, I don’t have that opportunity!